 Kimberley is the East Kootenay’s fastest growing city. The Bedroom Furniture Galleries is an example of how the entrepreneurial spirit thrives in the Cranbrook-Kimberley Development Zone. For starters, it began in a basement. Joey and Christine Hoeschmann, owners of The Bedroom Furniture Galleries and Ashley HomeStore in Cranbrook. The year was 1977 and Kimberley residents Fred and Gloria Hoechsmann decided to start making waterbeds. Soon, what was their hobby turned into a business opportunity—particularly when a waterbed store came up for sale in downtown Cranbrook. Forty-one years and four expansions later, The Bedroom Furniture Galleries is a prominent Cranbrook business, with 25,000 square feet of unique showroom space. Of course, in that time the Hoeschmanns expanded their product line from waterbeds to mattresses, appliances, living room furniture and everything needed to make a house a home. They also purchased and renovated a second Cranbrook location, opening it first as a Home Living store and later as an Ashley HomeStore. In 2002, Fred and Gloria’s son, Joey, and his wife Christine moved back to Cranbrook to join and later take over the family businesses. Having grown up in the area, Joey knew Cranbrook was the ideal place to raise a family. His boys, Brendon, 15, and Eli, 8, play lacrosse. Together, the family enjoys skiing, snowmobiling, biking, dirt biking and spending time at the lake. “If we do need a city fix, Calgary, Alberta, or Spokane, Washington, are a short drive away,” said Joey. Operating in such a central location has proved advantageous for The Bedroom Furniture Galleries and Ashley HomeStore, which sell and deliver furniture to some 15 communities surrounding the Cranbrook-Kimberley Development Zone. “There are also many great support businesses here to look after our business-to-business needs,” said Joey. And the best thing about his commute to work? It is only five minutes.